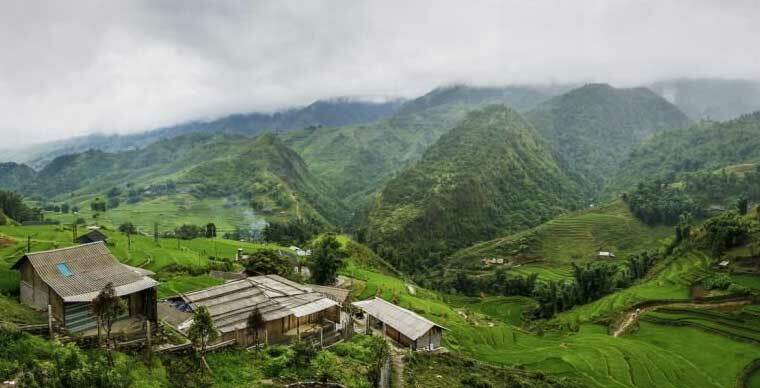 Located at 2km away from Sapa town (Sapa - Lao Cai province) Cat Cat village or also called Cat Cat hamlets is known as the home base of the Hmong ethnic group, which has long been transferred a tourist attraction of Sapa in particular and Lao Cai province in general. Cat Cat cultural village was formed since the middle of the 19th century by a group of ethnic minority people clustered in the special method. 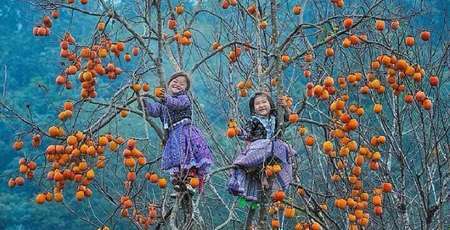 They live close to each other along the side of the mountain and cultivated crops on hillsides. 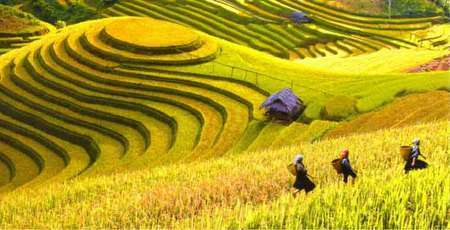 Near the living place, local tribe grow rice and corn manually which has created the beautiful rice terrace fields. Besides, local people also know how to cultivate, breed, and preserve many traditional handicrafts such as cotton, linen, and weaving. 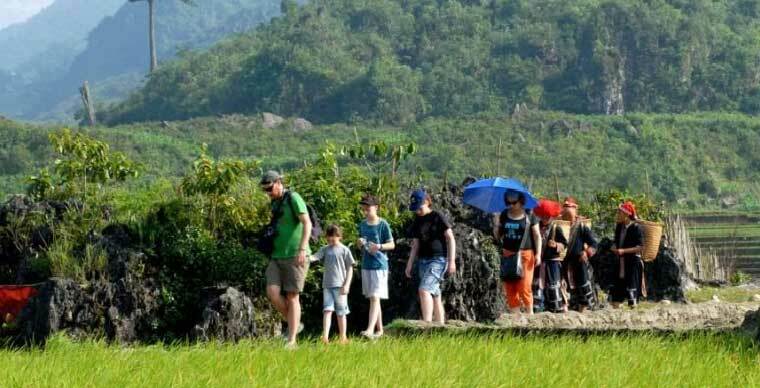 That is the reason why this minority village deserves to be considered as a cultural destination for many tourists, especially those have a specific interest in Asian ethnic culture. The trail leading to Cat Cat village is stunningly beautiful but quite rough in which you will have to go through the bumpy mountainous road or climb up and down numerous steps. 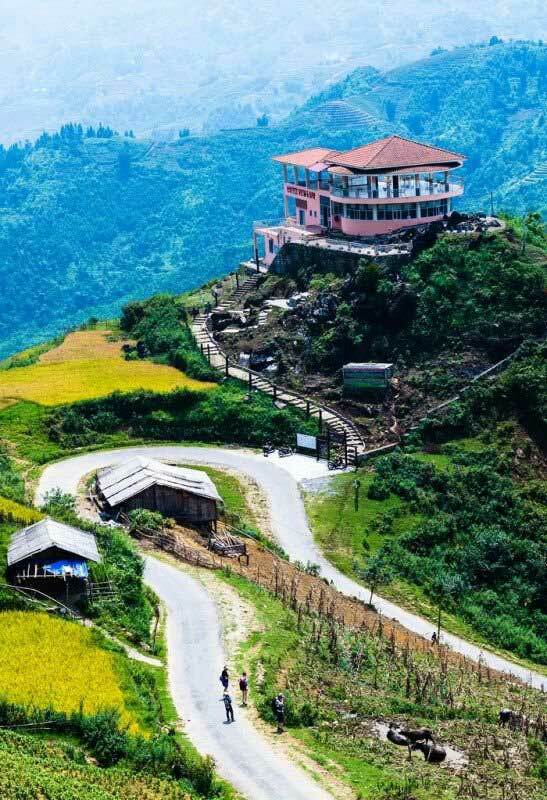 However, its worth since this uneven ground and slope will lead you to a peaceful land separated from the bustle and hustle of Sapa center. When walking down to Cat Cat village, cross the sloping concrete slabs to the stone steps. Continue across the Si bridge to Cat Cat center, where the convergence of three streams: Tien Sa stream, Golden stream, and Silver Waterfall. Formed in the mid - 19th century, the Cat Cat village consists of many Mong families, who live on the slopes and gather together and plant on the hillside. Visiting the town, the residents of the city will find it strange with the wooden three-room wooden house which is often called "Displaying house". A glimpse of the traditional lifestyle can be obtained by walking into some of the houses that are on display. The house is furnished in a very simple way with places of worship. Inside the house is quite simple with places of worship, there is floor guard the house has 3 doors with the main door in the middle. In addition to farming and rice cultivation on terraced fields, the Cat Cat villagers are also good at making cotton, linen, weaving, silver carving, and jewelry. 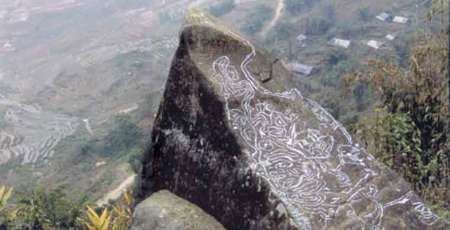 Visitors can directly visit traditional handicraft in the village. Brocade made by the Mong tribe consists of four main colors: Blue, red, white and yellow and made under many shapes and patterns with a special dying technique from ash and forest leaves. Silver, bronze and aluminum products in Cat Cat village are very popular with jewelry such as necklace, bracelet and ring. Villagers still maintain the typical culture with traditional Mong costumes. 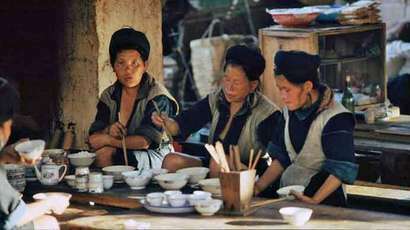 Women use cloth wrapped around the head for decoration, coats with an embroidered neck collar. Belts are embroidered with fancy motifs with two heads. The skirt has a conical shape that is folded with a firm but firmly creased skirt. Men who still wear a hat made of linen, a shirt in the underarms, a long jacket on the outside. 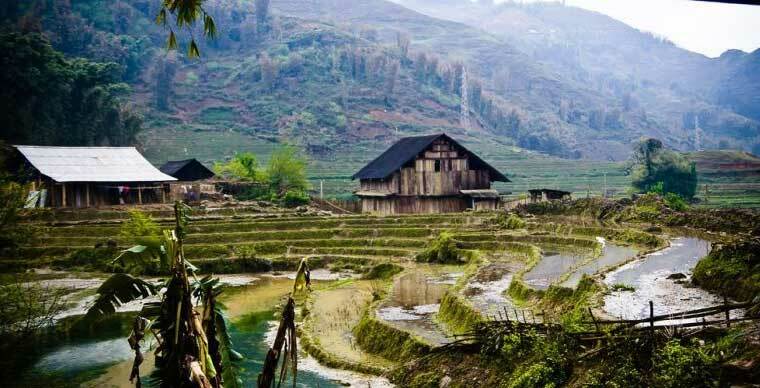 The villagers in Sapa remain the tradition of “Kidnap wife”. If a men fall in love with a girl, they would make friends by Kidnaping the girl home and keep her for three days. If the girl agrees to be his wife, they will have a wedding or they will be friends again. If you travel during the beginning of the year, you will be able to attend the Festival of Gourds organized by local people to pray for happiness and fulfillment. In addition, tourists also enjoy watching the typical dances and singing of the Mong people. 1. Be prepared to explore Cat Cat in the most interesting way: A walk to Cat Cat village. 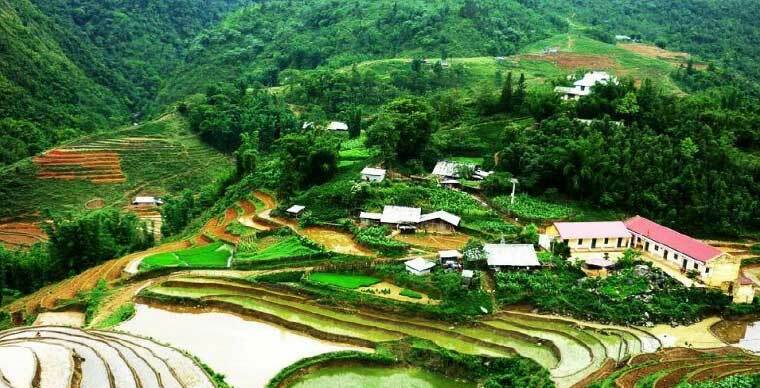 Since the weather in Sapa is cool, this walking tour will surely help you admire the natural scenery. 2. 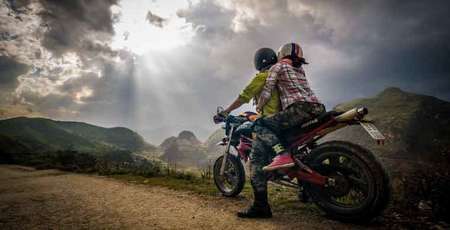 Take stunning photos of sparkling, splendid, picturesque hills and terraced fields. 3. 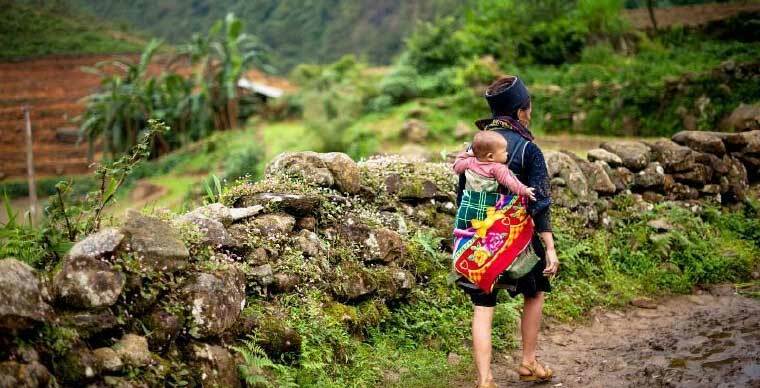 Visit a house of ethnic minority people in the village and discover how the people live there. You will be surprised to see families with more than 10 members. Try to discover those things that you have never seen before in the house, such as rice mortar, you must have never seen before. 4. 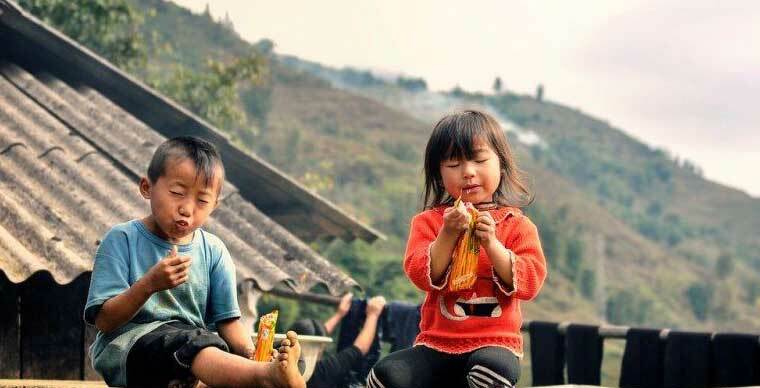 Don't forget to bring along some candy since you will pass by the ethnic minority school to have a better view of the life of mountainous children. 5. 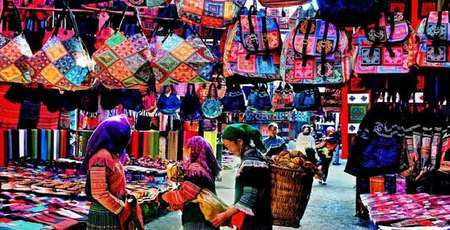 Getting inside the village, you will see a lot of stalls selling handicrafts, colorful ethnic costumes. In order to weave a brocade, Mong women can take about 8 months to complete. Thus, each handmade products carries precious value. 6. Drink cider apples are cooked by villagers only (10.000VND/ cup) and try the specialty of the villagers. 7. Watch the babies being carried on their backs to feel the peace. 8. Take photos with Cat Cat Waterfall located in front of H'Mong Cultural House. Going to the village you will cross the bridge over Cat Cat stream and romantic Cat Cat waterfall. 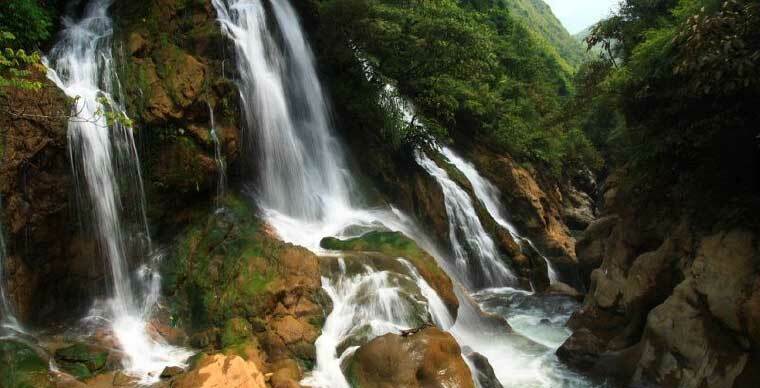 Waterfalls flow from the top of Hoang Lien Son Range. 9. Enjoy the performances at the Cultural Center, and during community dinners, you can learn dancing with the people. 10. Observe the rice mortar with the water of the Mong people work. The water flowed full of trough one end, the other end up high up, causing the water in the trough to fall out, the other end down to self-retarded rice mortar.